ArticlesEnergy Efficiency Trends – What’s Coming Up for 2018? Energy Efficiency Trends – What’s Coming Up for 2018? Looking back, 2017 has been an eventful year for tech and environmental design. We now turn to 2018 to see what is in stock for us. Of course, we are mostly excited about the nanotechnology part of it… here’s what is coming up! Electric vehicles are on the rise. With more than 169 countries currently trying to fight climate change while upgrading their economy and general public health, the automobile industry has to come up with new technologies fitting the needs and consumption criterias of today’s drivers. The plan for most car builders is to have various electric options in their fleet ready for the beginning of 2019. This will not only change the whole market, but also make 2018 a very significant year in terms of research and development! With electric cars comes their charging stations, meaning more efficient systems feeding energy to a greater part of the population needs to be considered sooner than later. And we are not only thinking of cars charging stations. Nowadays, we travel with different technologies in our pockets on a daily basis. Keeping our electronic devices charged and functional is a necessity. You may have seen wireless charging stations for various gadgets becoming more and more common in public places such as coffee shops, on public transit and in many airports. In Canada, the general use of solar energy is on the rise. Since 2015, we’ve seen a 6% increase in its production throughout the country. For the first time, we are experiencing more job creation in green energy related fields VS fossil energy – even in Alberta. Numerous factors can explain this turn. People are going green, solar panels prices are dropping, but most importantly, individuals are starting to understand that using solar energy can helps reduce their energy bills in the long run. We know for a fact that this trend is on the rise – and it’s only the beginning. However, even if they are quite easy to use, solar panels require a minimum of maintenance to offer an optimal performance. For example, did you know that dirty solar panels can be 30% less efficient than clean ones? However, we have the perfect solution to avoid this. Our SketchNanoGard SOL-R, you will generate optimal results with minimal maintenance. 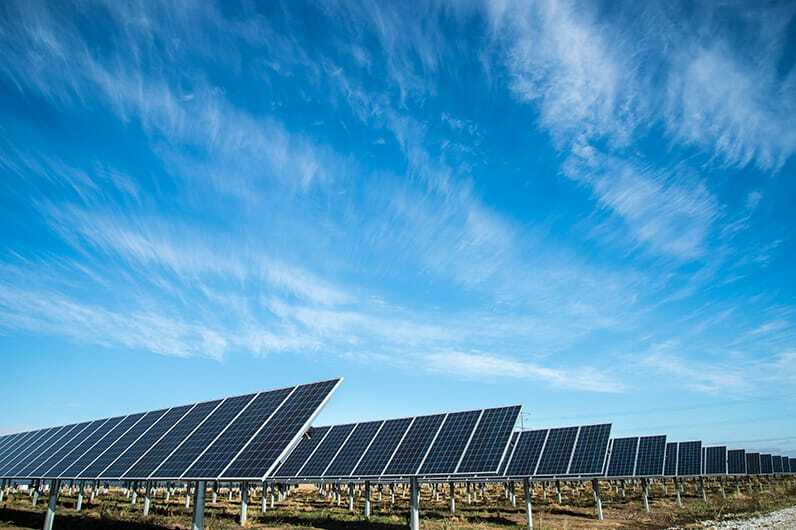 Thanks to the coating’s super hydrophilic and self-cleaning properties, your panels won’t be affected by dirt and organic or inorganic debris. By applying it, you save time and money while increasing your energy performance by up to 17%, VS untreated panels (based on a study conducted in California). To end our short list on a good note, the thing we notice the most are people’s growing awareness of the planet’s current tangent. Global warming influences us in the way we consume. It also helps to keep our general carbon footprint in mind when making important decisions. More and more people are buying local, trying to recycle more and are more focused on sustainability. Of course, consuming less energy makes you save money, but for most, the real motivation behind ‘’going green’’ goes way beyond finances. On that note, we wish you a green, energy efficient and inspiring year!